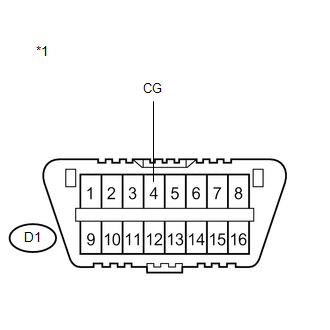 Connecting terminals TC and CG of the DLC3 causes the AWD control ECU to display 2-digit DTCs by flashing the AWD warning light. 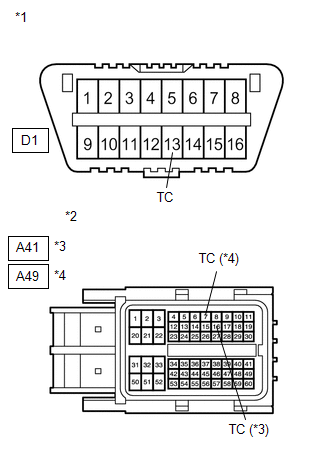 When each warning light remains blinking, a short to ground in the wiring of terminal TC of the DLC3 or an internal short to ground in each ECU is suspected. 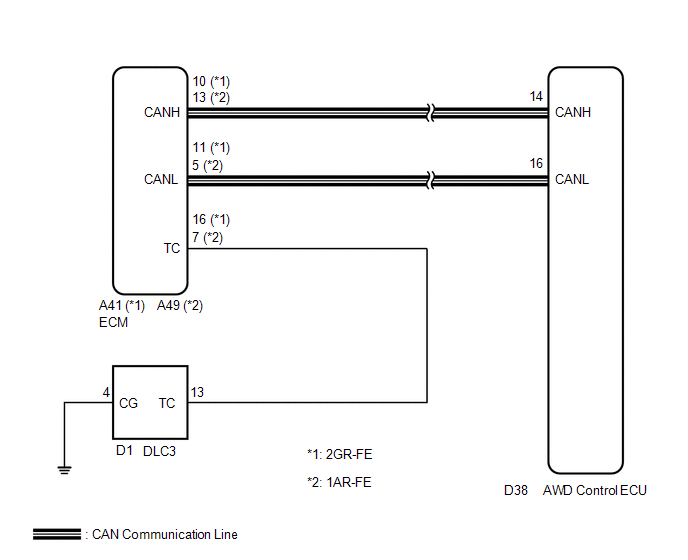 (a) Check if the CAN communication DTC is output (See page ). 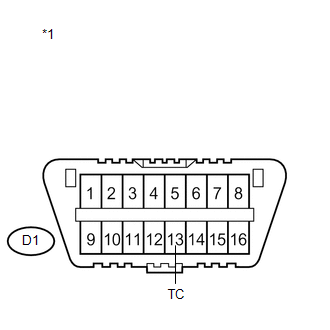 (c) Measure the resistance of the wire harness side connectors. (a) Measure the resistance of the DLC3.